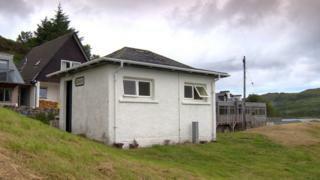 More than 20,000 people have signed a petition calling on Highland Council not to close its public toilets across the north Highlands. The local authority, the UK's largest provider of public conveniences, is reviewing the future running of the service. Campaigners gathered thousands of signatures from residents of Scourie, Kinlochbervie and Durness. Thousands more added their names using an online petition. Tourists have been among those to sign the petition, which is being handed to Highland Council. Petition organiser, Margaret Meek, from Kinlochbervie, said the success of the campaign had far exceeded campaigners' expectations. Highland Council's review runs until the end of next month. It said progress made so far included the emergence of a suggestion that "hub facilities" could be created. These sites could include toilets, campervan overnight parking with waste disposal facilities and electric car charging points. Allan Henderson, chairman of the council's environment development and infrastructure committee said: "It's important that we put the review into context and acknowledge that Highland Council is the largest provider of public conveniences in the UK. "Once the review is complete we will be able to confirm that there is a sustainable network of toilets across the authority area. "We will continue to identify further opportunities for public facilities with partners and are optimistic about making positive changes for the future."